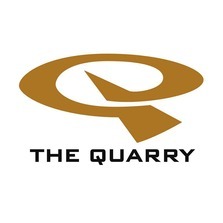 The Quarry Indoor Climbing Center, fun for the whole family. Kids are inherit climbers. We offer 12,500 square feet of climbing wall at varying heights, plus a kid's specific climbing area. There is a new adventure with every climb!! We offer classes, kids camps, parties, training, ladies night, yoga and much more. Bring in your Utah Kids Club card to receive a buy one get one free admission.